Case for a World Parliament - Website of buildingutopia! it is now time we be able to vote at the Global level. Problem - Lack of Global representation. Problem - Better global representation at the country level, but lack of citizen representation. 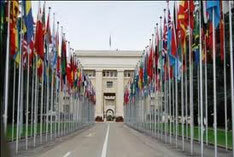 The lack of citizen representation means the UN lacks legitimacy in terms of it being able to truly represent the interests of global citizens and therefore lacks the ability to carry out the wishes of global citizens which legitimacy would grant. - The "sickness" of another World War must be prevented ! - We need a global safety net to deal with natural disasters and social problems ! - We must create order out of the current global chaos ! - We must create a world based on justice, equality and fairness ! - We must save our planet from environmental destruction that threatens our existance ! A UNPA is a stepping-stone towards the development of a Democratic World Parliament and ultimately the creation of a Democratic World Government. - In honour of this parliamentary hero, wouldn't it be nice to have a UNPA voted into existence by the year 2016 ? 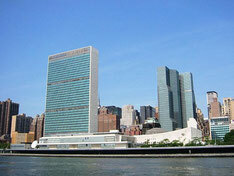 - All that is required is a 3/4 vote within the United Nations General Assembly (UNGA) to do this. - Contact your National Parliamentary (or Congressional) Representative and request their support.